N-Acetyl L-Cysteine (NAC) is a naturally occurring amino acid that can support your training goals. Our 100% NAC Amino Acid is a super-convenient soluble powder that can be easily added to your usual shakes and smoothies. NAC, like other amino acids, occurs naturally in protein which helps to build and repair new muscle1 — this is crucial whatever sport you play or exercise you do in the gym. Our powder is ideal for anyone looking to increase their intake of cysteine in an acetylated form. When to take 100% NAC Amino Acid? We recommend taking 500mg, 1 to 3 times daily — just add 1 mini scoop (500mg) to your preferred amount of water or fruit juice. As it’s Unflavoured, it’s ideal for adding to your everyday shake. 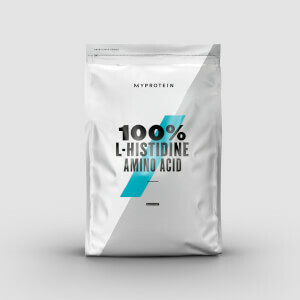 What does 100% NAC Amino Acid work well with? Boost your intake of BCAAs with our Essential BCAA 4:1:1 tablets — our highest-strength amino-acid supplement, with a ratio of 4:1:1 of leucine, isoleucine, and valine. 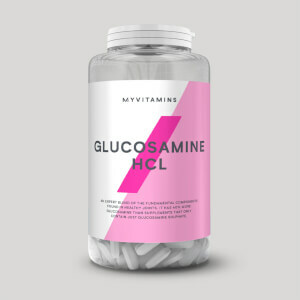 This product is 100% N Acetyl L Cysteine with nothing added or taken away. 100% N Acetyl L Cysteine. This stuff definitely works when used to clear up my blocked sinuses (made worse by living with a smoker!!). I tried it because I read about its use in hospitals to clear uo blocked lungs and mucus generally, and it might protect against the effects of smoke. So I thought it might work on my nasal passages too. I get an unblocked nose and my sense of smell and taste back again. So basically it works for me for that particular problem. Takes a couple of days. I don't like taking anything all the time so I have breaks - and then take it when needed. 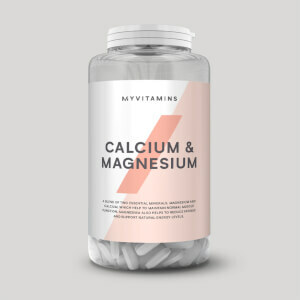 It can deplete zinc and copper so taking a multivitamin makes sense. I use this product for it's liver detox benefits. Great product, bad taste, but who cares? Prompt delivery and good product Mixes reasonably well in warm juice. Among other beneficial effects n-acetyl l-cysteine is also potent in exerting his antioxidant activity. Bought this as i was a regular big drinker, so as i decided to do go sober for macmillan i thought id give my liver a helping hand. Smells funky but mixed with water taste good sort of a citrus taste. Only been on it for a week so not noticed any changes yet. This is now an essential item in my cupboard. I drink far too much alcohol. I know it's harmful and addictive and it doesn't help my training at all. I heard this was good to aid liver detox and gave it a try a year or so ago. Now I use it everytime I have more than 2 drinks in 2hrs. 1 mini scoop after 2-4 drinks, 1 mini scoop after the session. If it's a big afternoon session like a wedding, I'll take 1 mini scoop somewhere in the middle. NAC dissolves easily in warm water and slowly in cold water. It adds an acidic, lemon juicey flavour. So I liek to add it to drinks that are far too sweet for my taste, where it helps to balance them out. A favourite is 2 mini scoop NAC in one can of the flavoured red bull drinks, diluted 2:1 or more with fizzy water. That makes what would be an unpleasantly sweet drink into something more like the lime/blueberry/tropical fruit drink it is imitating. NAC doesn't alter how you get affected by alcohol. NAC does NOT allow you to drink and drive, or be any more competent, sensible or charming while under the influence. It does (for me at least) markedly reduce a hangover, if you also drink plenty of water. Nothing makes you hangover proof, but the difference with NAC is so great, for me it's the difference between being at least half-useful the following day, or writing it off. Please drink responsibly! If you choose not to, I recommend that you try NAC. Good quality product at a good price, quickly delivered and I recommend this company as I have always had good products from them and received orders asap. It tastes horrible as it should - I put it in capsules and enjoy the benefits of this excellent supplement without having to taste it - smells like bad eggs. I find that NAC is very good for my lung problems, clears up too much thick mucus and seems to protect me from colds, flu and lung infections. Also good to take if you have to take paracetamol as it protects the liver from damage. There was no scoop with it and that was disappointing other than that it it a good product. Yeah the smell is bad and taste is not good either but mixing it in strong tea makes it OK. I use it whenever under stress and if I feel like I might get sick, I take several doses a day. Seems to work as I had several times I felt I might get sick, took a lot of cystine and was OK the next day.